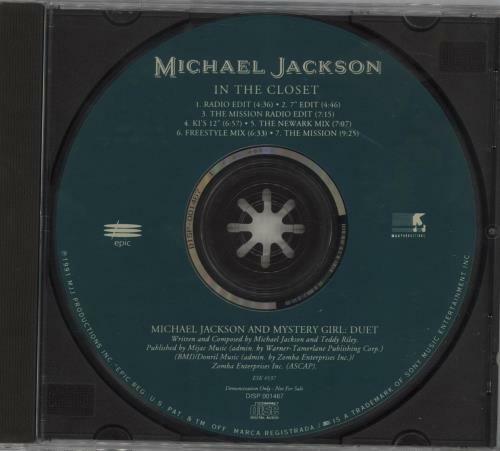 MICHAEL JACKSON In The Closet (Rare 1991 US 7-track promotional-only CD single, includes all of the best and most sought-after mixes all on one disc, none of which appear on the commercially released CD single for this track in the US. 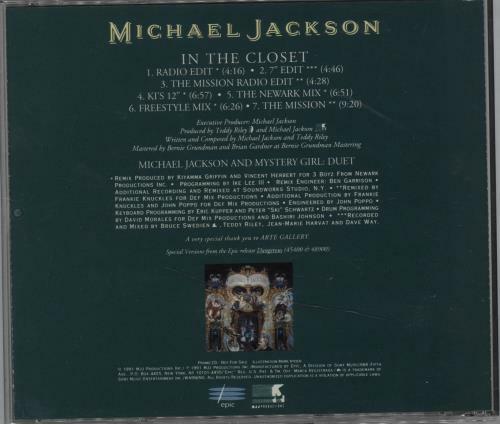 The custom printed green disc comes in a jewel case complete with a custom back title insert. A rare and groove-filled collectable! ESK4537).